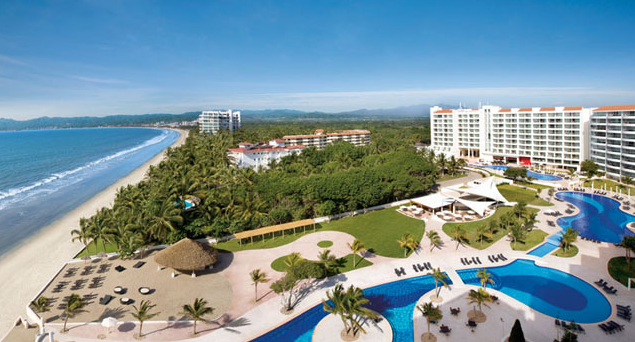 Here is one more amazing luxury hotel from the beaches of Mexico, this time from Nuevo Vallarta. 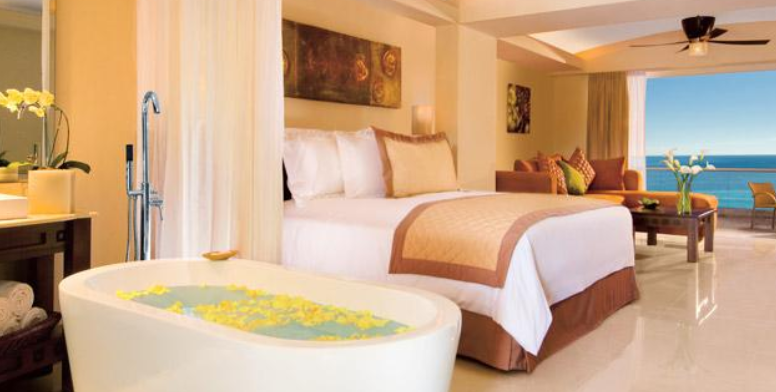 Book a room at Dreams Villamagna Nuevo Vallarta now starting from $152 per night and you will save as much as 25% of the regular prices of the hotel through the summer. One one side Dreams Villamagna Nuevo Vallarta looks over the blue waters of Banderas Bay in the Pacific Ocean and on the other it offers beautiful views over the Sierra Madre Mountains. This is an AAA 4 Diamond resort perfect for all guests from families to honeymooners. This is an all suite hotel with junior and one bedroom suites having a king or two double beds. Wether they come with ocean view or with garden view, they all have at least 655 square feet, a separate living area with sofa bed, furnished balcony with your own jacuzzi, air conditioning with ceiling fan, bath tub in the bathroom area, flat screen TV and other features. 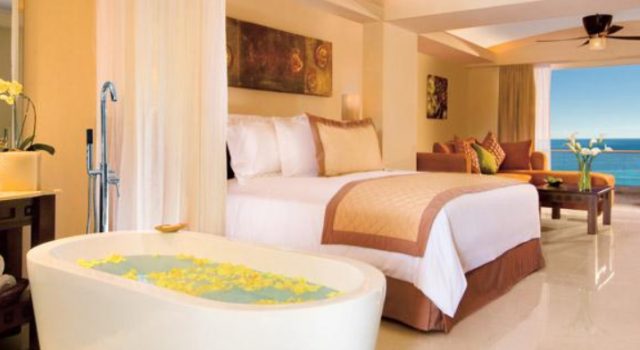 Unlimited luxury here means all inclusive services include everything you can possibly need at Dreams Villamagna Nuevo Vallarta. 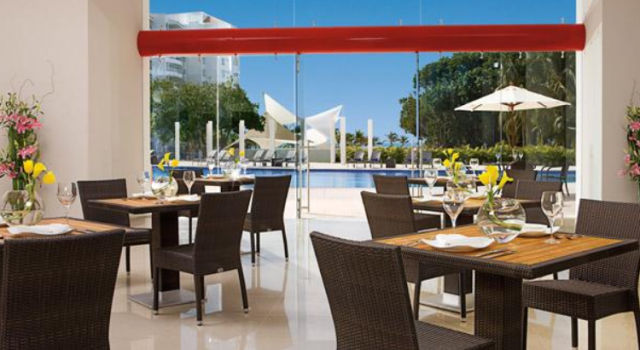 You get unlimited meals including gourmet a la carte dinners, unlimited drinks – domestic and international, 24hour concierge service, in room mini bar refilled daily with beer, juices and water as well as pool and beach waiting service. When you are not tanning on the beach or soaking in one of the pools, you can attend the themed parties, you can try water sports like kayaking, scuba diving or snorkeling, work out at the full service gym, practice yoga or play land sports while your children are entertained at the Kid’s Club of Dreams Villamagna resort. At the Nuevo Vallarta hotel you can enjoy meals and drinks at seven dining options and four bars. In the below box you can easily compare the prices of many trusted merchants and in just a minute browse dozens of similar offers. Look for other hotels in the Nuevo Vallarta area and you might find some better offers than we have.